WINNER is a superior quality product line representing the “Total Solutions System” for a wide range of battery applications. Product characteristics include complete series with excellent reliability, long life and modern design.The WINNER Stationary “Total Solution” is created to meet the various and specialized needs of today’s industry. 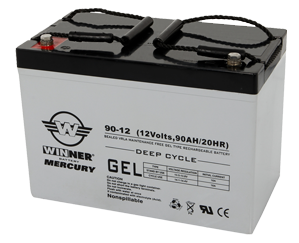 Designed for excellence, WINNER Stationary batteries cover a very wide range of industrial applications for every use. Along with battery chargers, shelves and cabinets (earthquake-proof included) can provide key ready and customized solutions.It includes series with all existing technologies, from Absorbent Glass Mat (AGM) Valve Regulated to Gel technology and the Flooded lead acid traditional reliability as well.It is diversified to small sized series for UPS, back up, security, emergency systems and to higher capacities series for all kind of stand-by uses required by the needs of current innovations and by the industry.